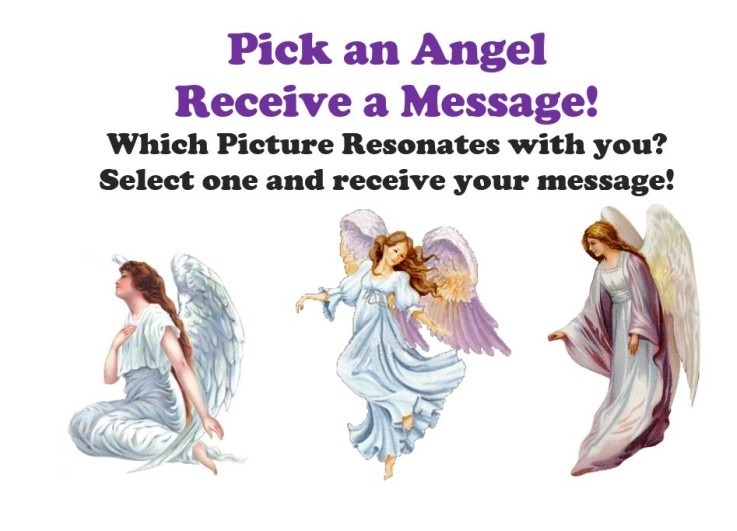 Pick an Angel & Receive a Powerful Message! Your angel message is: Emotions may be running high. Please remember that it is always best to take a breath, review the situation and assess if it is truly as dire as you believe before reacting, or is it an old fear being triggered? Simply ask for our assistance and we will gladly help you discern the truth at the heart of the matter. It may merely be that you are the one that needs to do some clearing in your own heart and once this takes place, peace returns! Your angel message is: The influential energy of Love is moving through the Universe at all times. All you must do is remember and connect in. It can be the driving force of all things if you simply allow it to be. You always have the power within you to shift your vibration and create your own reality that will then reflect itself in the world that surrounds you.Please always remember that you have the choice and just how powerful you truly are. Never underestimate yourself or the things you are capable of, you are a powerful being of Light. Your angel message is: Turn over all of your financial worries into our hands. All that is needed is for you to plant the seeds of intention and by taking action as the opportunities grow around you. Once you do, we will help you cultivate and grow your income. We only ask that you release the worry and stress over to us as it can smother the process. Please be open to the signs and messages we send along the way. Know that these answers may not always be delivered as you expect, but will always be for your highest good in the end. Have faith that together we can heal this financial situation you find yourself in now.